When I was growing up in Lebanon, I believed that Sundays were kibbeh days. There were at least four types of kibbeh served at any one meal and if my mother had not cooked it, my grand mother made sure to send us our share. My family came from the North of the country from a village high up in the mountains which was renown for its kibbeh, a dish with meat and burghol wheat. 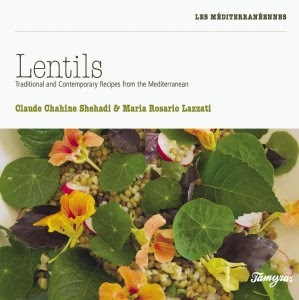 On weekdays, food was simple, relying on seasonal fare for a variety of vegetable stews; being Catholics, they served lean food on Fridays, so grains and pulses were cooked in olive oil. We ate fish whenever someone went to the coast otherwise there was a man who went door to door selling river fish name Frash which we ate fried. Sundays? Oh well… on Sundays there was no measure to the lavish spread of colour and flavours on the long table which was always set and ready to receive friends and family. When more guests showed up at lunchtime, everyone pushed and shoved to allow for that extra chair. The traditional preparation of kibbeh was mesmerising to watch as I sat there on a low stool looking at village women with strong arms, their hair held back with a scarf -mandeel, rhythmically pounding the meat and sea salt, in a large stone mortar - jorn. In regular motions they would beat beef, lamb or goat meat with a heavy solid wood pestle – modakkah. The process was time consuming and arduous and often two women would sit opposite each other taking turns. When they felt satisfied that the meat was perfectly smooth, they would run a knife through it and the blade would catch any unwanted bits such as sinews and skins. These were not used in the final mix but were not discarded either; they were often simply seasoned and grilled on an open fire. This ‘de-veining’ or ‘de-rooting’ process as it was called, was an essential step before combining the meat, by hand, with mashed onions, a hint of mint, pepper and rinsed burghol. The dough-like mixture would be flattened in a tray and baked at very high temperature or turned out into individual portions. Kibbe comes in different shapes and sizes: some are round, some are small, and some look like miniature rugby balls while others are as big as a grapefruit. Kibbeh can be poached, fried, grilled, baked or even eaten raw - a Lebanese answer to steak tartare but which contains no eggs. Raw kibbeh or kibbeh nayeh has its aficionados who enjoy it part of a mezze served with Arak - a distilled grape and aniseed alcoholic drink. 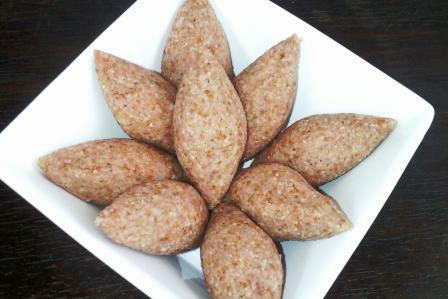 Geographically, kibbeh starts in Mosul in Iraq through to Northern Syria and ends in Northern Palestine. 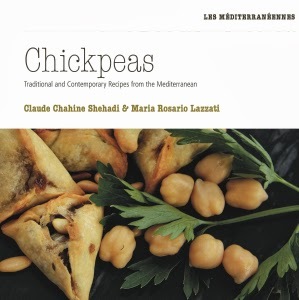 It is however considered one of the main Lebanese national dishes. 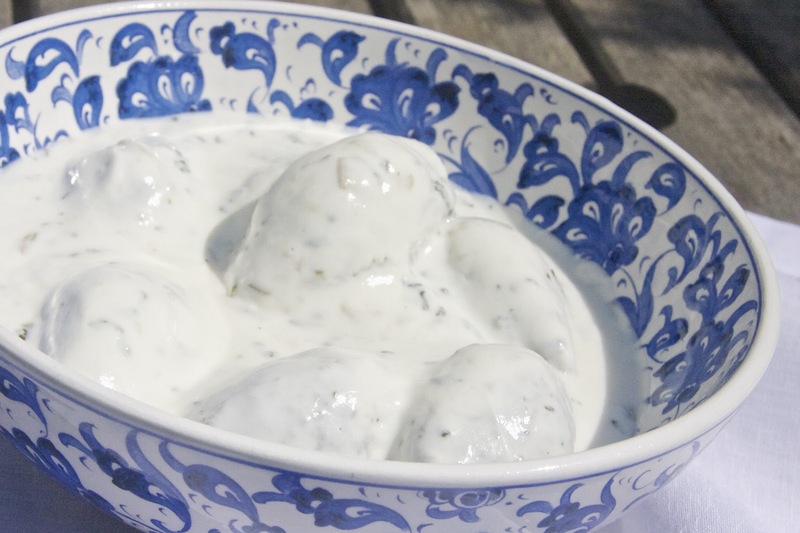 To me, it is not simply a dish, but a fraction of time that stands still in my memory: the rhythmic sound of the modakka filling the air while church bells rang to remind me that Sunday was kibbeh day. Today’s preparation is kibbeh labanieh, kibbeh shells shaped like tiny rugby balls and cooked in a thick yogurt sauce with taklieh, a blend of fried garlic and coriander. The hollow kibbeh shelled are poached, and added to the hot yogurt sauce. Serve with rice on the side. Take the meat out of the freezer and process in a mixer. Keep working the meat until you get a dough-like mixture. It should be sticky with a uniformly dark-pink colour. If you can see darker particles, this means that the meat has not been pounded thoroughly, so process for a while longer. When ready, transfer to a large mixing bowl. Place the onion, spices and mint in a processor and grind to a puree and add to the meat. Rinse the burghol and quickly squeeze out all the water, add it to the meat and onion mixture. Knead together by hand well until all the ingredients are well combined. If necessary, add a little iced water to soften the dough and give it a smoother texture. Now shape the kibbe. These have the shape of a miniature rugby ball and are hollow on the inside. Take a small amount of kibbe about the size of a ping-pong ball. Hold it in one hand and with the index finger of the other make a hole in its centre. Keep working around the inside with your index, until you get a medium-thin shell. Close the opening by bringing the dough together. Finally form pointed ends. Place on a flat tray and keep rolling until you have finished all the meat. Bring 2 litres of salted water to the boil and drop the kibbe one at a time. Leave to cook for 2 to 3 minutes. Lift with a slotted spoon, drain and set aside. Place the yogurt in a large pot and add cornflower. Mix. Over medium heat stir constantly to prevent it from sticking and eventually burning in the bottom. When the mixture begins to bubble, add salt and stir for a few more minutes. Gently drop the poached kibbe. Turn off the heat and make your taklieh. Crush the garlic to a fine paste and finely chop the coriander. Heat a pan, add the oil and then fry the garlic and coriander together until they turn a deep green colour and become crunchy. Stir from time to time. Remove from the heat and either mix it directly with the labanieh or serve it on the side. Serve as a main course with vermicelli rice. Do let me how it went... :-) I hope that it is simply delicious.